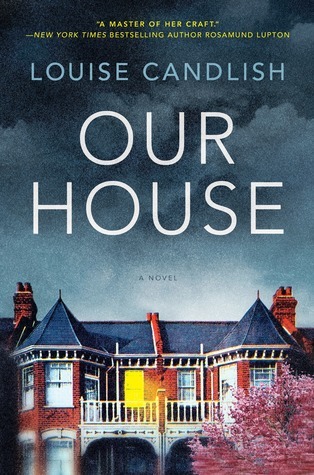 Our House by Louise Candlish is a novel of domestic suspense that is told in a rather creative way. The point of view in the story switches back and forth between the couple in question, Fiona and Abraham or Fi and Bram as they are more commonly known. This is done by Fi telling her side as a podcast complete with comments from the peanut gallery as I liked to refer to them or better known as the random internet viewers and then Bram’s side is told through a letter he had written. 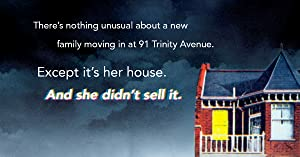 The book begins with giving readers a huge glimpse at where the backstory will lead with Fi returning to the family home after a few days away to find a random family moving into her home. What couple have possibly led to such a huge mistake being made with these people thinking they had a right to be in her personal space?? So then readers are taken back to be given a better look into Fi and Bram’s marriage or separation really. You see, they had not been happily together for quite a while but only doing as Fi had suggested and maintaining the family home together for the sake of the children. In a new trend a separating couple alternates times in the family home with the kids instead of a flat out divorce and uprooting the children’s lifestyle completely. This may have worked well for the couple if only Bram didn’t have so many secrets. Our House had such an interesting premise and started off rather well in gaining my attention rather quickly. I will admit the style took a little getting used to but it is a rather creative way of doing a book that definitely brings it into this century and it was done rather well. However, at about 30% or so of the story this one really seemed to stall out yet again which unfortunately carries on for the biggest portion of the book making it drag quite a bit. Then flipping my feelings back around the ending to this one was actually quite a good wrap up so while the pacing was a big feeling of meh I still actually liked this one in the end. 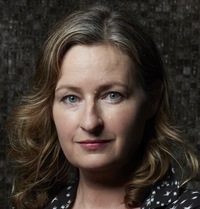 Louise Candlish is the author of eleven previous novels, including The Sudden Departure of the Frasers, The Swimming Pool and the international bestseller Since I Don’t Have You. Louise studied English at University College London and worked as an advertising copywriter and art book editor before writing fiction. She lives in South London with her husband and teenage daughter. I’m happy you enjoyed it in the end, Carrie, but it’s too bad it was uneven. Beautifully worded review! Awesome review Carrie. With all the great books out there I’m glad I was turned for this now. Oh no. I am starting this one shortly. Nice, honest review. I am finding a lot of books these days with those types of middles. It is almost as if they need a certain number of pages, so they just add stuff. I hope I enjoy it. At least you gave it 3 stars, which means it is likeable. The thing is I could understand I suppose if it were a 300 or so page book and the middle was slow because that’s the average book length so it would seem they needed the filler material. However, this one is around 400 I believe so a bit of editing to get rid of that repetitive middle seems like it would have been the smart way to go.